Your Sacred Communication Journal is meant to support your spirit baby communication relationship and foster an intimate connection into parenthood. The journal supports conception and pregnancy with five unique sections that encourage your journal-ing with questions and healing pictures. 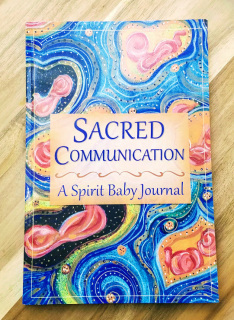 It includes extra pages to write your spiritual communication experience with baby before life. February 14th - March 14th! Available ALL Around the World!